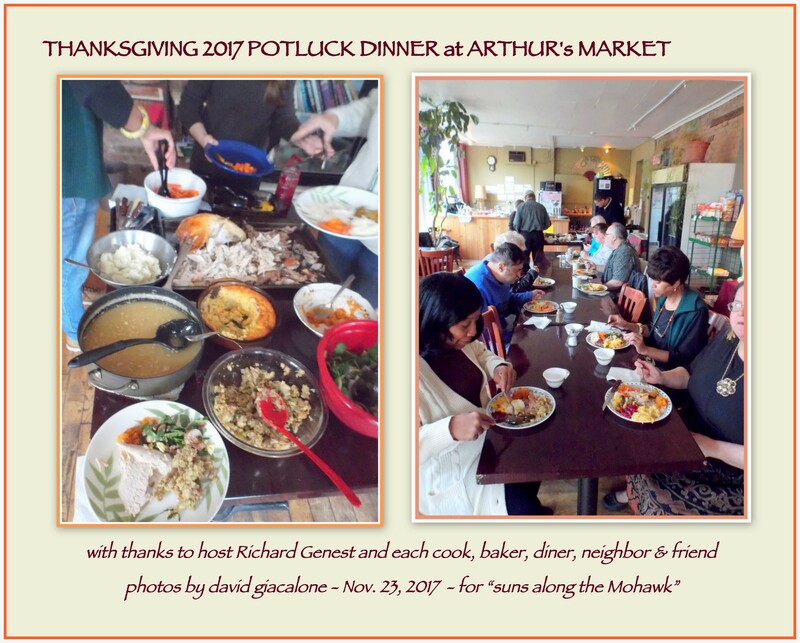 I hope all my Stockade neighbors and friends had a Thanksgiving meal as tasty, heartwarming, and enjoyable as the potluck dinner I enjoyed with a dozen others at Arthur’s Market yesterday. Not wanting to intrude with my camera, I took only a few quick photos. The above collage shows the buffet table and the main dining table. Not shown, but definitely not ignored by the guests, were five fine pies and some cute cupcakes that ended the meal with a gentle exclamation point. My sense is that hearts and tummies were full. I saw old neighbors and familiar faces, and hopefully made some new friends. 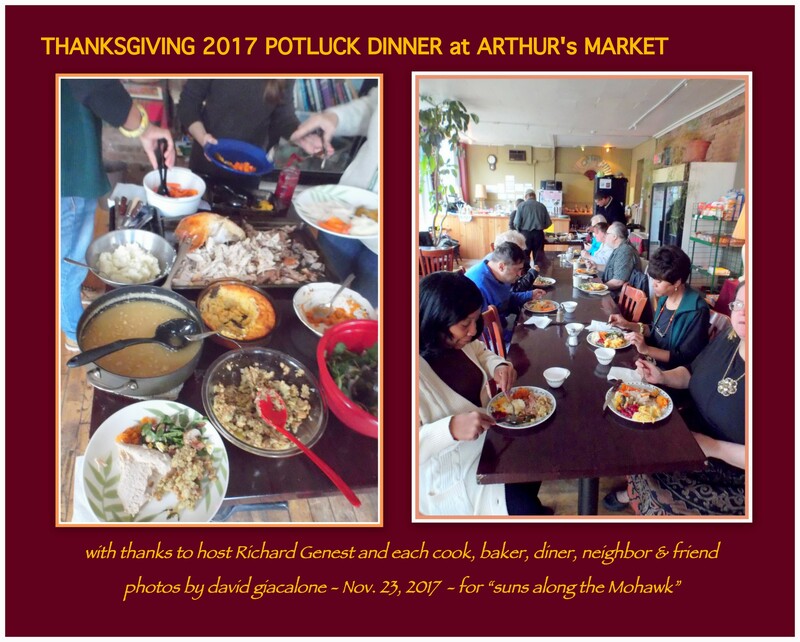 . . best Thanksgiving wishes to all . .